Who is changing the world? Educators are! I’ve just returned from the Global Education & Skills Forum (GESF) organized by the Varkey Foundation and its partners in Dubai where 2,000 delegates explored the conference theme—Who is changing the world? As a dad and the host of the annual AFS Global Conference, Bana’s remarks resonated strongly with me. 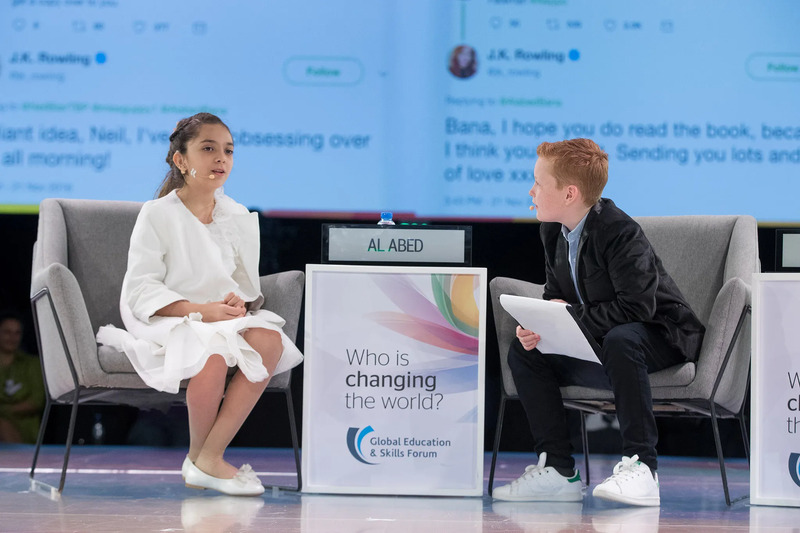 They made me reflect on why educators are such a critical catalyst for changing the world and motivated me to work harder to educate and empower more Active Global Citizens like Bana and Braydon. 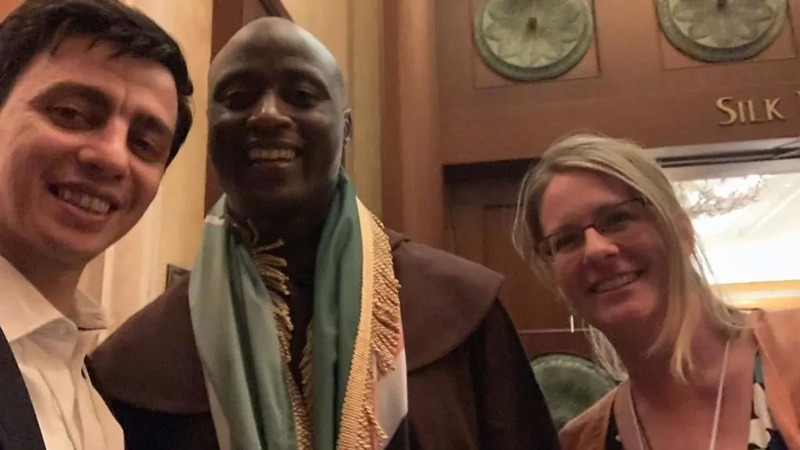 And the request for access to better schools helped me appreciate even more the contributions of Peter Tabichi, a truly inspiring teacher from Nakuru, Kenya who received the 2019 Global Teacher Prize at the end of the Forum. Access to quality education must be a basic right for young people, and I firmly stand behind the United Nations Sustainable Development Goal #4: Ensure inclusive and equitble quality education and remote lifelong learning opportunities for all. To many people’s surprise, also embedded in that goal is the quest to develop the knowledge, skills, and understanding required to navigate a global world. These so-called global skills match up quite effectively with the power skills that make things happen in all sectors—critical thinking, problem-solving, communication, and collaboration. In fact, “global competence education” helps students learn how to use these important 21st-century skills in intense situations that require navigating differences. Every day, cultural, religious, economic, ethnic, national, gender and political differences prevent people from connecting and working effectively together. However, it’s hard to solve major problems or take advantage of new opportunities if you are unwilling or unable to leverage diverse ideas and perspectives. Innovation and creativity rarely happen when everyone comes to the table with the same point of view. Supporting educators to take on global competence education requires a cross-section of stakeholders—policy makers, businesses and community leaders for starters—to join forces and drum up the will and the resources. Easier said than done. That’s why I am so excited to announce the convening of the second annual AFS Global Conference in Montreal (October 9-11, 2019). This year we are sharing scalable solutions, dissecting roadblocks and identifying resources to educate Active Global Citizens. How do we empower young leaders and changemakers to tackle pressing global issues leveraging different points of views and in collaboration with those “different” from themselves. If you have ideas and insights you want to share, join me and 600+ stakeholders from a large spectrum of backgrounds in Montreal. I look forward to building a global network of collaborators and educators with you to rise to the challenge Bana echoed from the GESF stage.